Since 2015, there has been many high-profile mergers within MCU manufacturers, in order to compete for market share and invest in IoT applications. According to market research institute IC Insights, NXP, Microchip and Cypress have seen major growth in sales in 2018. TI provides a platform for SimpleLink™ MCU, new standard for developer and Wireless Arm ® MCU product development in a single software environment. SimpleLink solution provided by TI is applicable to a variety of Wireless technologies, including Wi-Fi, ZigBee, Thread, BLE, 6LoWPAN and ANT so on, these are unified in a single software framework. The flexibility of SimpleLink platform to help with rapid development and resources reuse. NXP is a leading position in identification, automotive, RF Power Transistor and Communication processor. NXP offers a range of low-power, low-cost Wireless MCU products for many monitoring and control applications in the Internet of things, including consumer, intelligent energy, industry and healthcare. Microchip Technology Inc. a lead supplier of microcontrollers and analog semiconductors, the products include: 8/16/32 bit microcontrollers, mixed signals, power management, thermal management, RF, timing, security, wired and wireless connection, EEPROM, serial flash memory, parallel flash memory and SRAM, etc. Its low power embedded wireless solutions support the main technologies: ultra-low-power Wi-Fi®, Bluetooth Low energy (BLE), zigBee®3.0, MiWi™ grids, Sigfox or wireless solution for remote low power LoRa applications. ST is a leader to provide semiconductor solutions in the world, Innovative intelligent driving and IoT semiconductor solutions for customers in different electronic applications. 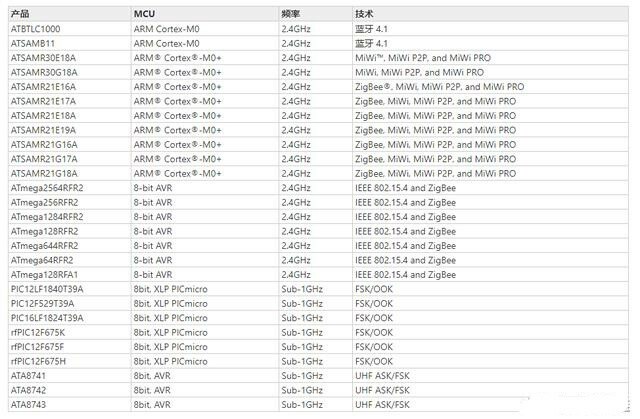 ST wireless connection products include: various transceivers, network processor IC and fully certified modules, support the major technologies for wireless connection: remote network below 1GHz(6LowPan、WMBUS、Sigfox and LoRaWAN)、Bluetooth®、Bluetooth-Smart® and wireless internet. A supplier of Silicon Labs Chips、software and solutions, Silicon Laboratories provides wireless、module and software. Silicon Labs products support a variety of wireless protocols, include Z-wave, Wi-Fi®、ZigBee®、Thread、Wireless M-Bus and specific protocols. Its products are mainly used in the Internet of things (IoT), Internet infrastructure, industrial automation, consumer and automobile markets. Nordic is a lead supplier of Wireless Connection and IoT IC solution. It has four product lines: 2.4GHz RF、ANT™、low-power dissipation Bluetooth® and Sub 1-GHz RF. Its products are mainly used in consumer electronics, wearable devices, construction and retail, medical care and others. It is said that Nordic has more than 40 percent of the market in bluetooth low power and preparing for the next cellular Internet of things market. Dialog is a fabless semiconductor company that provides mixed signals for consumer electronics. Its products are mainly used in wearable devices, smart home applications, induction labels and portable medical devices, etc. Cypress provides WiFi for WLAN, bluetooth technology for streaming content and bluetooth low power consumption product for ultra-low power connection. Its products are mainly used in consumer, industrial, medical, automobile, etc. ON Semiconductor provides high efficiency power management, simulation, sensors, logic, timing, interconnection, separation, System on a Chip (SoC) and custom components. Its products are mainly used in automobiles, communications, computers, consumer electronics, industry, medical care, aviation, national defense, etc. ON Semiconductor provides wirelessRF Transceiver are mainly working in sub-GHz and 2.4GHz, support Bluetooth® Low Energy、SigfoxTM、 EnOcean、 IEEE 802.15.4–2006、 ZigBee、 6LoWPAN、 Thread、 WirelessHART、 ISA100 technology, etc. Redpine Signals is a wireless semiconductor and systems solutions company, focused on providing innovative, ultra-low power and high-performance products for the next generation of wireless applications. 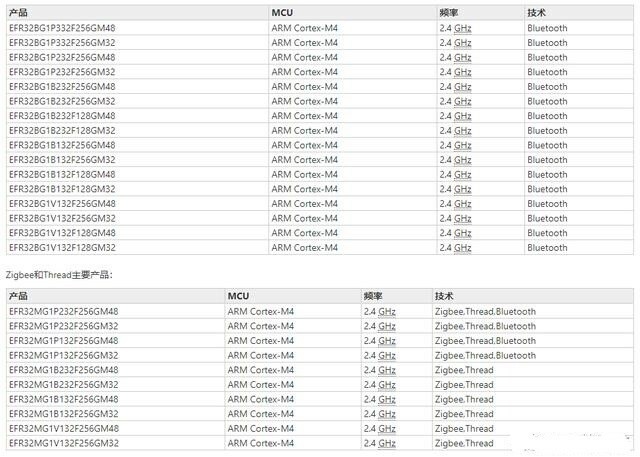 Redpine technology complete covers end-to-end wireless solutions, include 802.11 abgn、Dual mode bluetooth、802.15.4/ZigBee/Thread、802.11p、MCU、Security, etc. Redpine technology and products cover industrial, medical, automotive, wearable devices, family connections, intelligent energy, building automation and real-time positioning, mobile and Internet in a number of market segments. MCU market is approximately three times that of all other processors combined. These MCUs are part of the foundation of several of today’s technology paridigm shifts. MCUs play a role in IoT, sensor fusion, distributed intelligence, energy management, wearable technologies, secure communications, building and industrial automation, autonomous driving and more.